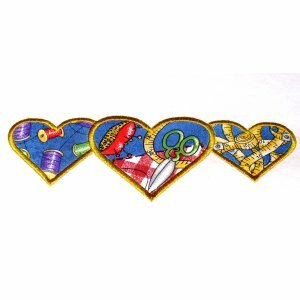 Add love to your next project. 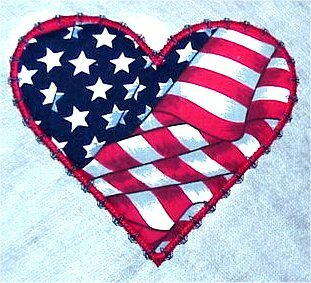 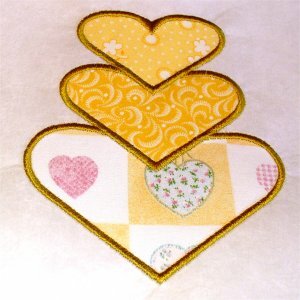 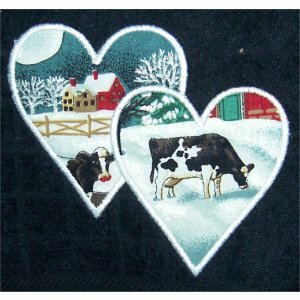 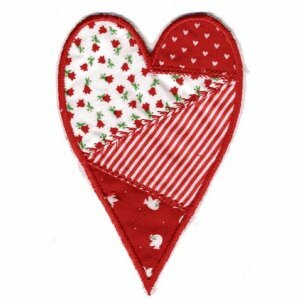 Appliqué hearts work great on clothing, quilts and other fun projects. 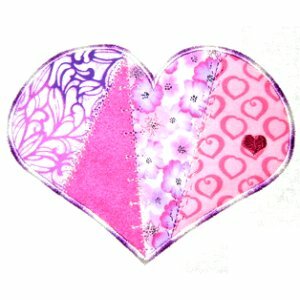 Just add your fabric colors or theme to create your own unique hearts.